What is a Total Home Inspection? Why a Total Home Inspection? Serving Fairfield County, Connecticut for over 20 years. Few transactions in your life will be as consequential as the purchase or sale of real property. You may be about to make one of the most important decisions in your life. Don't make it without a Total Home Inspection. With the principles of integrity, professionalism and service — and an abiding respect for the trust our clients place in us — Total Home Inspection serves discriminating buyers and sellers of residential real estate in Fairfield County. 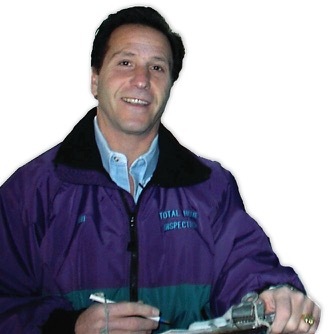 Bill Hirsch, principal of Total Home Inspection and past president of the Coastal Connecticut Chapter of ASHI. To inform and educate our clients about the true condition of real property, so that the decision to buy or sell is made with maximum awareness and the highest possible level of confidence. Total Home Inspection has conducted thousands of thorough residential inspections, and for each of our clients, we provide objective and detailed reports, written in an easy-to-read narrative format. Our membership in the American Society of Home Inspectors (ASHI) (its local Coastal Connecticut Chapter) and the Connecticut Association of Home Inspectors (CAHI), assures you that our efforts on your behalf are made at the highest professional and ethical standards in the industry. But our affiliation with these most respected organizations goes beyond mere membership. 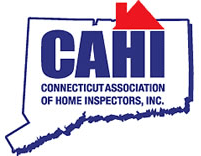 Our inspectors have served on the Boards of Directors of The Coastal Connecticut Chapter of the American Society of Home Inspectors (ASHI) and the Connecticut Association of Home Inspectors (CAHI). And our principal is a past President of the Coastal Connecticut Chapter of the American Society of Home Inspectors (ASHI). As a consumer and homebuyer you have the right to know exactly what a Total Home Inspection is. The information presented here is intended to give you a better understanding and guideline of exactly what your Total Home Inspector will and will not do for you during the course of an inspection. First and foremost, a Total Home Inspection is a primarily visual survey of those accessible areas that our inspector can see. No destructive testing or dismantling is done during the course of an inspection, hence a Total Home Inspector can only tell a client exactly what was in evidence at the time and date of the inspection. The inspector's eyes are not necessarily any better than the buyer's, except that the inspector is trained to look for specific tell-tale signs and clues that may lead to the discovery of actual or potential defects or deficiencies. 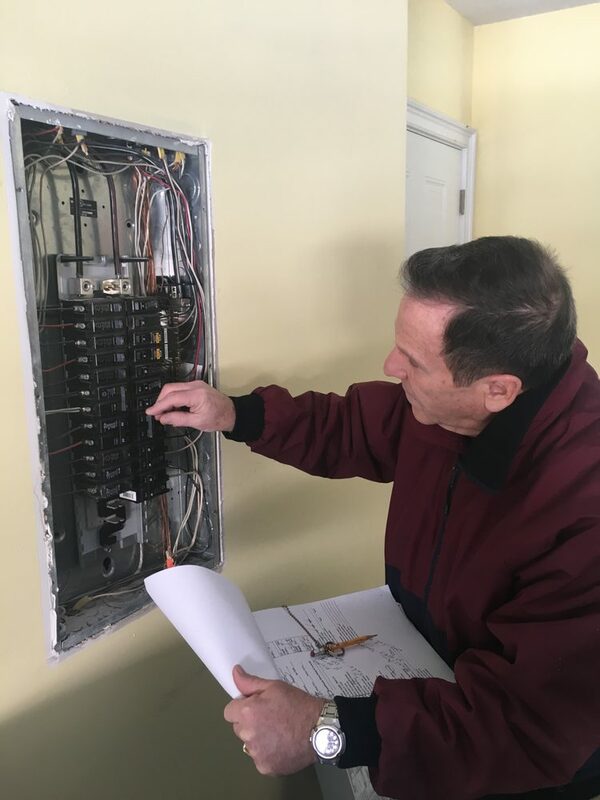 Total Home Inspectors base their inspections on the current industry standards provided to them by their professional societies (ASHI Standards) and the State of Connecticut's Standards of Practice and Code of Ethics. These standards tell what the Total Home Inspector will and can do, as well as what the Total Home Inspector will not and/or cannot do. These standards clearly spell out specific areas in which the Total Home Inspector must identify various defects and deficiencies, as well as identifying the specific systems, components and items that are being inspected. There are many excluded areas noted in these standards on which the inspector does not have to report, for example: private water and sewer systems, solar systems, security systems, subterranean systems, etc. A Total Home Inspector is not limited by, and often exceeds, those standards. If the Total Home Inspector can include additional inspection services, then they may perform as many specific inspection procedures as the client requests. The careful step-by-step procedure of a Total Home Inspection may take up to, and in many cases exceed three hours to complete. You are encouraged to attend the inspection so that the details of the process and its findings can be expressed to you face to face, as the inspection is taking place. A Total Home Inspector will always take pleasure in explaining the operation of all systems within the real property or prospective real property, and describing the possible ramifications of his findings. He will also, in your presence, make every effort to locate and identify important emergency valves, switches and buttons to better allow you to understand the workings of the dwelling. While the inspection does not in any way represent a guarantee or warranty, a Total Home Inspection represents the industry's finest pre-purchase measure of confidence available to a buyer. A Total Home Inspector will provide you with as much information as is practically possible about the real property's observable current condition, including but not limited to the grounds, interior and exterior characteristics, and the mechanical and electrical components. Your Total Home Inspector will give you an unbiased and frank opinion and a clear picture of the property's strengths and weaknesses - even estimating the life expectancy of the essential systems within the house itself - in a detailed written report. Our reports will tell you not only what we have observed, but what we could not observe. We'll make recommendations and offer opinions and we'll explain what we mean in language you can understand and appreciate. Because your time is valuable, we'll complete your report and make it available to you by midnight of the day the inspection was conducted, via email! 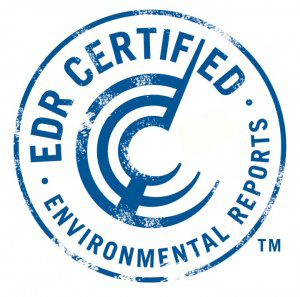 Total Home Inspection offers testing services for radon levels in the air, radon levels in the water, volatile organic chemicals in the water, basic water analysis, lead and copper levels in the water, uranium and arsenic levels in the water and other environmental concerns. These services are recommended except in special circumstances, and we will gladly describe the processes and their relative importance to you. Every Total Home Inspection includes a detailed wood-destroying insect report. By extensive probing for termites, carpenter ants, powder post beetles and other wood destroying pests, the inspector or a licensed pest control company will issue a report that will add to your confidence that the buying decision you make will be the right one. For real properties with oil-fired, propane-fired, or natural gas-fired heating plants, Total Home Inspection includes a comprehensive evaluation of the boiler or furnace, the heating system and its components by Standard Oil, Fairfield County's most reputable provider of heating oil and heating services. This effort can dramatically reduce unforeseen and costly expenses in the years to come. A Total Home Inspector is a highly trained and experienced professional - an agent dedicated to finding and evaluating clues which may portend potential problems or dangers with the property in question. His skills have been developed through broad experience and are honed through intensive continuing education. His astute observations of a broad spectrum of electrical, mechanical, material and structural conditions will serve you well in the negotiation process, and may save you thousands of dollars in the lifetime cost of your real property or prospective real property. A Total Home Inspector will not simply identify where you may be at risk. He is committed to finding the good as well, helping you to assess the true and in some cases possibly hidden values in your real property or prospective real property. Total Home Inspectors are respecters as well. We treat the properties we inspect with kid gloves, leaving the property in the same condition as it was when we entered it. Our inspectors wear booties or slippers to protect carpets and floors, because to us, the property is someone's home (perhaps soon to be yours) ...and our mothers raised us to behave ourselves when we are guests in someone's home. A client's relationship with Total Home Inspection does not end when the inspection and report are complete and in hand. At Total Home Inspection, we consider ourselves home consultants to our clients for as long as they own the real property we inspected for them. If ever a question should arise or our clients should be in need of counsel or clarification we are eager to serve them to the best of our ability, or guide them to where they can best be served. Call us today. Our telephones are answered by knowledgeable and informed professionals who consider it their mission to walk you through the process, answer questions in detail and find a way to serve you as you wish to be served. With a Total Home Inspection you can move forward in an informed manner, confidently making one of the most important and consequential decisions in your life. Because that's what we do at Total Home Inspection - we create confidence. Anyone with a license, flashlight, and business card can call himself a home inspector. But to entrust your inspection to just anyone is a risk not worth taking. After all, there are few transactions more important, more costly, or more lasting than the purchase or sale of real property. 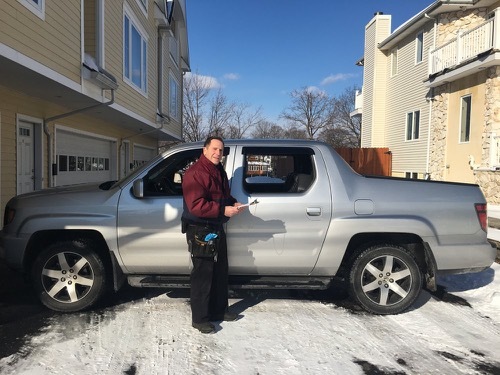 To be confident, make sure your inspector is a full member, in good standing, of the American Society of Home Inspectors (ASHI), like our inspectors. The American Society of Home Inspectors® is the national professional organization of home inspectors with members throughout the United States and Canada. 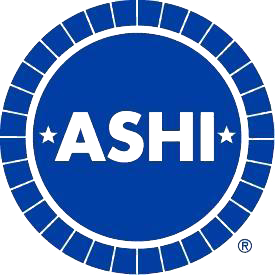 Formed in 1976 as a not-for-profit organization to build public awareness of home inspection and to enhance the technical and professional performance of home inspectors, ASHI is the oldest and most respected professional association of home inspectors in North America. Only inspectors who fulfil these requirements can display the ASHI symbol. Their professionalism assures buyers, sellers, brokers and agents that they will provide a thorough, unbiased, written disclosure on the real property in question prior to closing. ASHI's Standards of Practice and ASHI's Code of Ethics are to be followed by its membership. Take the time to interview your inspector. Get to know about their background, qualifications and whether or not they are a member of ASHI. The effort you make in selecting the inspector of your real property or prospective real property will pay dividends for years to come. Whether as a primary residence or vacation nest, the house and land you buy are more than places you live — they are assets. As with any other important decision, it is essential to learn as much as possible about that property before committing valuable resources, energy and time. The wise buyer will conduct detailed due diligence — of the town, the schools, the lending institution, the broker/agent and of course, the real property itself. The efforts made in during this due diligence will reap rewards long after the transaction has — or has not — taken place. Our comprehensive approach to home inspection will help to ensure that you are as informed as you can be about the true condition of the property in question. Instead of the stress, emotion and uncertainty that naturally accompany a decision of this magnitude, you'll feel confidence — confidence that your home inspection was the best the industry has to offer, and confidence that you are making your decision with your eyes wide open. If you are already a homeowner, a Total Home Inspection may be used to identify problems in the making and to learn preventive measures which might help to avoid costly future repairs. If you are planning to sell your home, you should consider having a Total Home Inspection. This will give you a better understanding of conditions which may be discovered by the buyer's inspector and an opportunity to make any repairs that will put the property in better selling condition prior to placing it on the market. To discuss the benefits of a pre-listing Total Home Inspection, contact us today! In a competitive market like this one, you want your home to "stand out in the crowd." Eliminating major defects makes a property more desirable and leads to a favorable home inspection report from the buyer’s inspector - thereby helping expedite a sale. Our Inspection Checklist can help you evaluate your real estate property prior to placing it on the market. We hope that sellers will find this checklist helpful in evaluating their property and correcting problems that could adversely affect pre-purchase negotiations. Connecticut has a disclosure law requiring sellers to state any problems of which they are aware. We have compiled some Questions for the Seller that the seller may need to answer in addition to the Disclosure Statement. As a buyer, these questions should be asked and answered to your satisfaction. View our invaluable Homeowner's Guide! Have a question? Check our our F.A.Q. or contact us today. © 2017 Total Home Inspection, Inc. Some of the content on this page is taken directly from the ASHI web site, and we acknowledge the copyright: ©1998, 1999®.